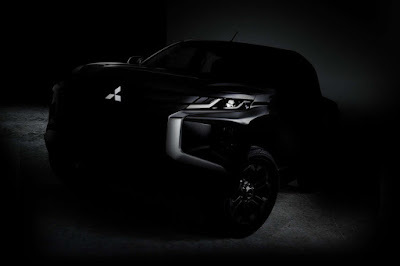 UPDATED: Here is the 2019 Mitsubishi Strada (11/09). 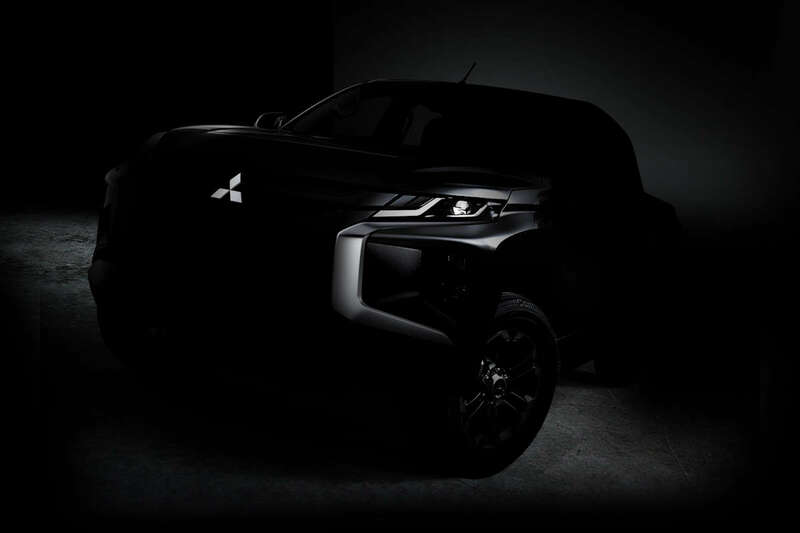 Mitsubishi Motors Corporation is celebrating 40 years of pickup truck success by teasing what they call “the future of the pickup truck.” Expected to be launched late 2018 globally as a 2019 model, the Strada now gains the familiar Dynamic Shield front-end design seen in the Montero Sport and Xpander. Apart from the extensive exterior redesign, the 2019 Strada is expected to share its internals with the current-generation Montero Sport. It’ll likely gain an upgraded version of the Super Select 4WD-II system which adopts an electronic actuator for the four-wheel drive system. Aside from that, it’s a sure bet that it’ll have a 2.4-liter MIVEC turbodiesel engine under the hood, hopefully mated to an 8-speed automatic. Going back to its pickup truck history, Mitsubishi says they’ve managed to sell 4.7 million one-ton pickups across five generations. The design brief was fairly simple: to meet the desire of customers for a pickup with outstanding reliability, durability and payload performance; with levels of drivability, utility, comfort and ride that are on a par with a passenger sedan. L200, which remain in use today. From the very beginning, the Forte was engineered to provide tough, dependable transport for people and goods. To ensure customers could go even further afield, Mitsubishi Motors built on its four-wheel-drive heritage by adding a 4x4 version to the range in 1980. This became the foundation for modern Mitsubishi 4WD vehicles, leading directly to the Pajero. It was soon renamed Triton in many markets, had a profound effect on the Mitsubishi Motors’ business too. The first- and second-generation platforms were mainly produced at Mitsubishi Motors Ohe Plant. Since the third-generation model in 1995, production has been concentrated in the Laem Chabang Plant in Thailand, from where they are exported worldwide. It is now Mitsubishi Motors’ biggest factory, producing some 400,000 units annually. Waiting for this! Please launch Montero Sport GLS MT 4x2 instead of GLX MT 4x2.